For so many reasons (the #wickerpickedher hashtag being one of them), Sonia and Jason’s wedding just stuck with us ever since we watched the heartwarming highlight film by Zheng Chia Films. 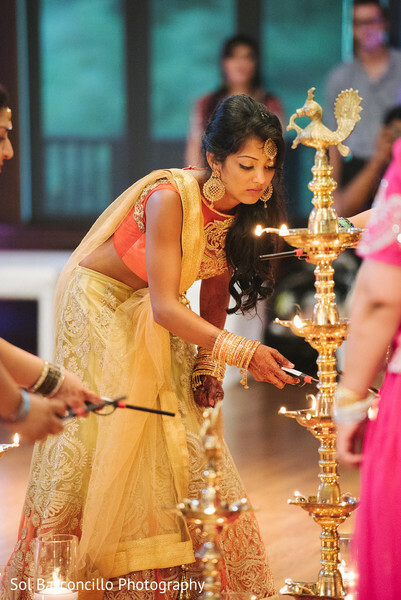 Orchestrated by the super talented team over at K.Scott Weddings, this fusion affair commenced on a cozy note with a Mehndi hosted at the bride’s house, followed by a vibrant Garba at Cleveland Park. The show stealer was Sol Basconcillo Photography, who captured the entire event thoroughly, in addition to the lovely portraits of the couple shot outdoors. The interplay between Sonia and Jason’s outfit colors, in combination with the picturesque outdoors made for a visual feast. 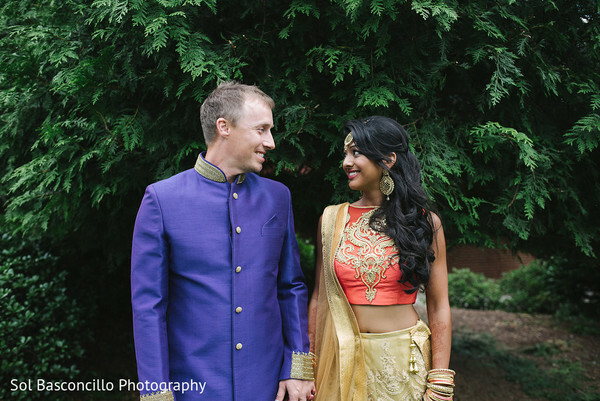 We loved Sonia’s au courant orange embroidered crop top paired with a matching gold lehenga. It was sweet, tasteful, and super chic! The makeup would have been challenging for this one given the vibrancy of the color, but trust Cotton Rouge to do a stellar job nevertheless! 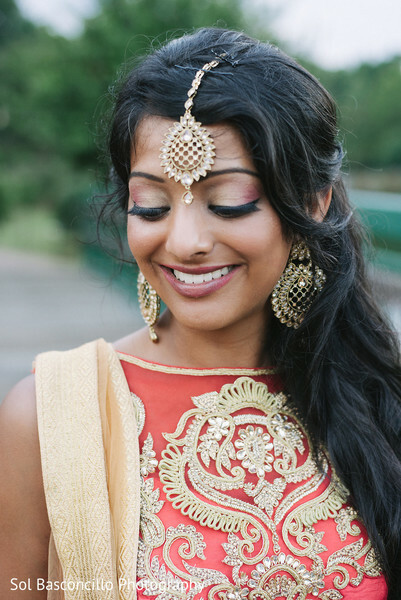 The dewy glow with a soft smokey eye and relaxed beach waves accentuated Sonia’s look. 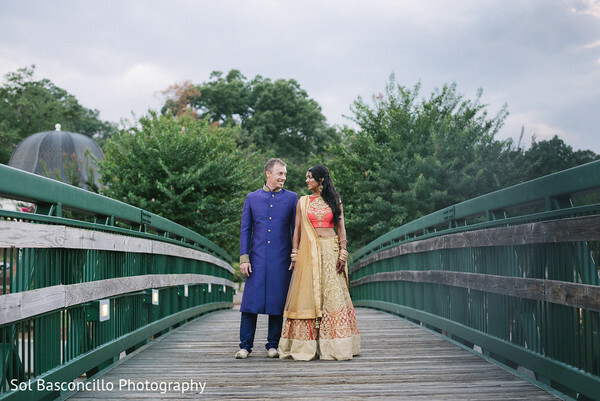 Perhaps one of the best color pairing we have seen off late came about due to Jason’s purple raw silk bandhgala. Aayojan decked up Cleveland Park using a great combination of ethnic and contemporary elements. 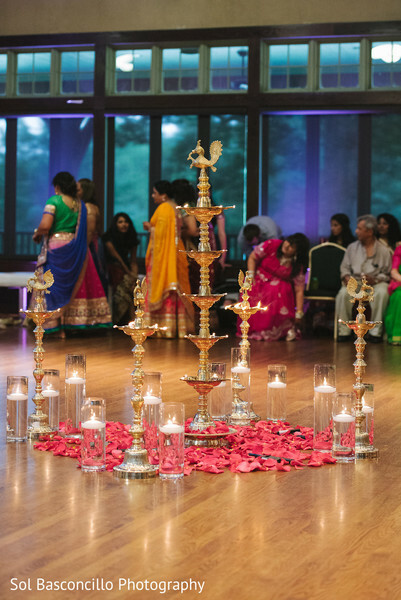 Antique gold candelabras, rose petals, and floating candles were situated in the center of the ballroom for the candle-lighting ritual. 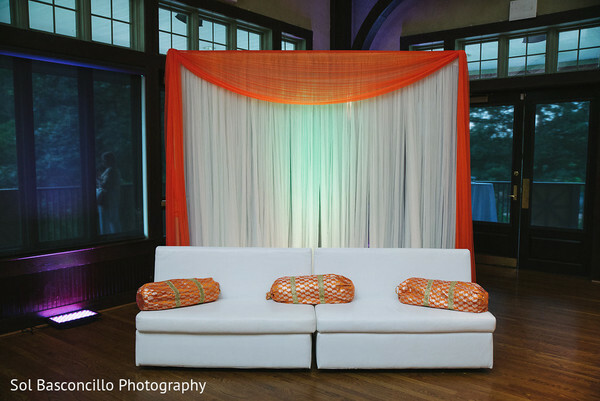 A dedicated lounging corner seemed like the perfect backdrop for photos, given the orange and white gathered drapes, embroidered bolsters on a pristine white cushion. Jhankar Group of Charlotte provided live music and beats for the night, that had the guests dancing all night. Simply Fresh 'N' Spicy catered yummy and exotic delicacies that everyone deliriously indulged in. Browse through the gallery especially if you fancy a bright color palette! 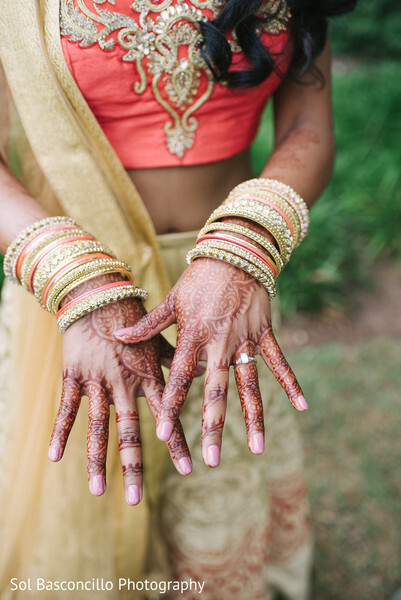 Sonia and Jason’s wedding was contemporary fusion at its finest, with every element reflecting a bit of both cultures. Join us in the next post, where we will spill the beans on their ceremony and reception!